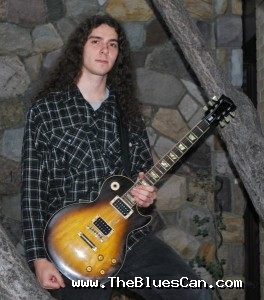 Description: Mike MacKenzie is a Canadian guitarist based out of Calgary, Alberta. He utilizes the guitar in several important aspects of his life, particularly performing, composing, recording and in his job teaching the instrument. Music and the guitar have been a dominating force and compelling passion for the majority of Mike’s life and continues to grow in its vitality. He currently focuses most of his time on the development of his solo project, both in the performance and studio domains. Breeding and blending musical styles has always been at the forefront of Mike’s original sound, but he has always had a thirst for rock music primarily, so this is what neatly ties everything together. Elements of blues, jazz, progressive, psychedelic and funk will also make their presence known and add to the dynamic melting pot that concocts his unique sound.